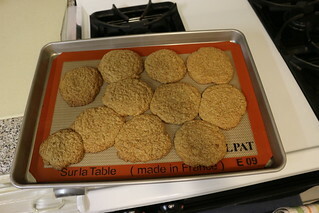 I’ve always wanted to make oatmeal cookies as I’ve had the one at Starbuck’s one time and I was in heaven. But I just never found the time to make them, as it requires so much work for a one (wo)ma team. 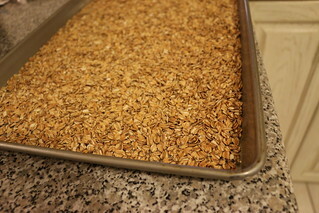 The first step was to bake the oats for around 20 minutes at 350 degrees. Until golden brown. 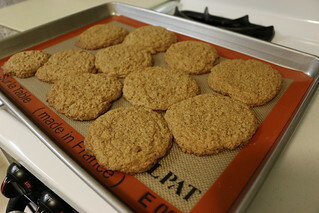 After the oats cooled, put them into a food processor and process until fine, like whole wheat flour. 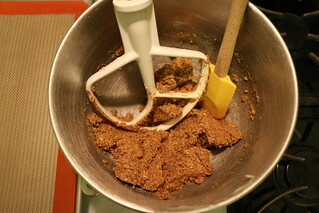 In one bowl, whisk butter and sugars together. Add salt, vanilla extract and egg and combine. 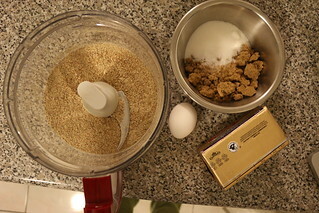 Add the processed oats into butter mixture, it should look like a wet paste. Spoon the dough into balls and spread the balls onto a cookie sheet, but make sure they are far apart, as the cookie will flatten and expand width-wise. 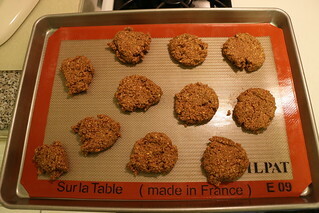 The cookies are very delicate once baked for 12-16 minutes in the oven. 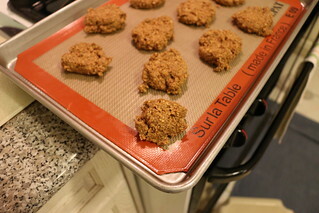 Let them sit and cool for about 3-5 minutes before eating or removing them onto a cooling rack. I hope you enjoy baking these cookies, if you get a chance to. And if the cookies are a day or two old, just pop them in the oven or microwave for a few seconds to warm them up before eating, makes so much difference. 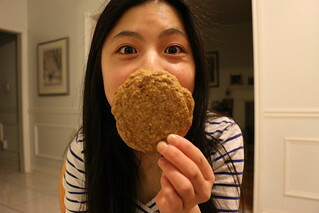 Mmm I love oat cookies! These looks so sweet and tasty!